According to the Aircraft Owners and Pilots Association, only a few of the major airlines require a degree for employment, but in the past several years, more than 95 percent of the pilots hired have at least a four-year college degree. 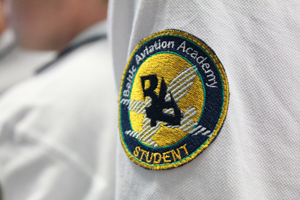 BAA Training in cooperation with Kazimieras Simonavicius University created an exclusive bachelor study program in Lithuania – ‘Aviation Management’. Graduates of this program will obtain a license of either a private pilot or a pilot of commercial aviation as well as a bachelor degree in Aviation Management. ‘Piloting is not just controlling an aircraft. This profession also means a constant interaction with different crews, air traffic controllers, airport and airline managers, and furthermore right decision making. Having a degree in aviation sector along with a pilot’s licence helps to secure yourself in a pilot position. Moreover, a degree in ‘Aviation Management’ could also open doors and help develop your career in many other positions in the aviation industry’, commented Egle Vaitkeviciute, CEO at BAA Training. According to the Boeing Outlook 2012-2031, global aviation industry will continue to rapidly grow – approximately one million new commercial airline pilots and maintenance technicians, including 460,000 new commercial airline pilots and 601,000 maintenance technicians will be required by 2031. With the looming global demand for pilots, the demand for aviation personnel grows along. ‘The demand for pilots and all aviation personnel is rather a fact, than a forecast. Opportunity for a successful career in dynamic and promising aviation industry is right in front of us, so why not to give this opportunity for the young generation’, adds Egle Vaitkeviciute, CEO at BAA Training. Recently developed BAA Training and Kazimieras Simonavicius University ‘Aviation Management’ degree program provides a comprehensive background in aviation studies, management and business, which is appropriate to those willing to develop their careers in air transportation, air commerce, airport planning and management, and aircraft sales and insurance. Study program is approved by the Lithuanian Ministry of Education and Science and allows graduates to gain private or commercial pilot license and a bachelor’s degree in aviation management after 3.5 years of studies. The first group of students will start their studies in the September of the current year. The application process to the early acceptance will be held from the 2nd of April till the 31st of May. Regular acceptance will be held during the official acceptance to the Lithuanian Higher Education Institutions.